Whether you choose to recycle or not (you should! ), plastic can have a serious impact on you life, namely, your health. It’s safe to assume that you use plastic in your daily life, from plastic water bottles to take-out containers. But did you know that there are over 7 types of plastic, some of which can be detrimental to your health and are linked to obesity, cancer, diabetes and heart disease. We’re counting down the top 7 types of plastic, their uses and their safety. Treat this as your guideline to plastic, cutting out plastics that are proven to compromise your health. It is important to remember that certain plastics are more important to eliminate than others. Never sacrifice your health for convenience! Clear in color, PETE is the plastic found in a majority of disposable soda and water bottles. 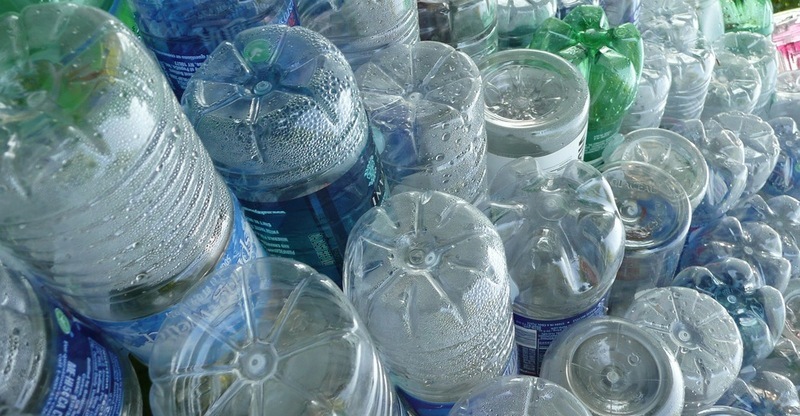 This plastic, generally, is considered safe and picked up curbside by recycling programs. However, be wary of the porous nature of this plastic’s surface as it allows bacteria and flavor to build up. In other words, avoid reusing these bottles as makeshift containers. HDPE is used for most detergent bottles, juice bottles, clear tubs and toiletries bottles. These plastics are considered safe, with a low risk of leaching chemicals into the product it holds. PVC is used to make food rappers, bottles for cooking oil and plumbing pipes. While PVC is touted for its durable strength, it’s not considered safe to cook food near. Its softening chemicals, known as phthalates, mess with your natural hormonal development and balance. The takeaway: never cook using food wrap, especially in a microwave oven. LDPE is commonly used to make grocery bags, food wraps, squeezable bottles and bread bags. These plastics are considered safe. This type of plastic is produced to hold products like yogurt cups, medicine bottles, straws, and some water bottle with a cloudy finish. This plastic is widely considered as safe. Polystyrene is used to make disposable containers and packing. There is overwhelming evidence that this plastic is dangerous as it leaches toxic chemicals, especially when heated. Try avoiding polystyrene/styrofoam to the best of your ability. To boot, it’s difficult to recycle and most recycling problems don’t accept them. These type of plastics can be categorized as created after 1987. This includes, polycarbonates, which have a highly toxic BPA content. Products created with BPA include baby and water bottles, medical and dental devices, sports equipment and many electronics. To prevent dangerous toxicity, it is best to dispose of any food or drink related products that contain BPA.